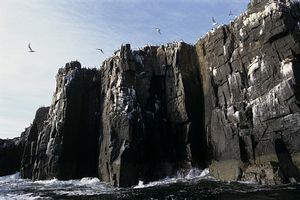 A visit to the Farne Islands is like a trip to another land - one inhabited by thousands of nesting seabirds rarely seen on mainland Britain. Puffins, shags, guillemots and four types of tern share this island sanctuary with grey seals. 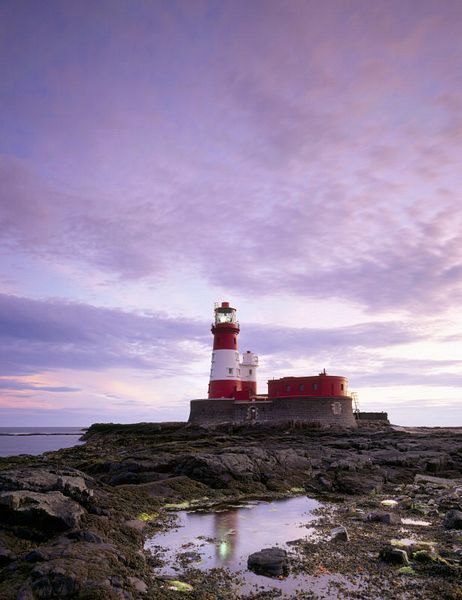 The 28 Farne Islands lie just off the Northumberland coast in the often stormy North Sea. Choose a calm day between April and September and catch the hourly boat ride from Seahouses for this 30-minute boat trip, with views of seabirds and wildlife before you even leave the harbour. your trip or visit the Visitor Centre on Inner Farne for local information. Things to do on the Farne Island will include the obvious, such as walking along the circular boardwalk around Inner Farne Island. There is also the opportunity for sea kayaking from Bamburgh, or go snorkeling and diving to one of Northumberland's best dive sites with several sunken wrecks and plenty of marine life. Everyone can enjoy wildlife watching, bird spotting and photography. Migrant bids can be seen in spring and autumn, and the breeding season for seabirds is from May through August. The 4000 grey seals produce pups in November each year. The Farne Islands have an interesting connection with some well-known figures in history. St Cuthbert lived on Inner Farne from 676 to 687, although he spent two years as Bishop of Lindisfarne. He built a small cell which he used for praying and living in. He was the first person in England to protect birds and made special rules to safeguard the Eider ducks. Other hermits followed from the Monastery of Durham and in 1255 they established the House of Farne, a small monastery on the island. St Cuthbert's chapel was built in 1300 and still survives today. defended the coast against a french invasion. In 1673 Charles II granted a license to erect a beacon on the islands which consisted of a fire which was lit on top of Pele Tower. In 1809 this was replaced by the lighthouse which visitors see today. Only one of the three lighthouse keepers cottages remains. Most people know the story of William Darling and his 22 year old daughter Grace who were lighthouse keepers at Longstone Lighthouse on Outer Farne. In 1838 the SS Forfarshire had been wrecked on the rocks. Grace and her father took out a rowing boat in the storm and saved 13 crew members. The island and Longstone lighthouse can also be visited but are managed separately by Trinity House. Inner Farne was bought by the Venerable Archdeacon Charles Thorp in the mid 19th century and he restored the buildings, adding the stained glass windows to the chapel and installing fine 17th century woodwork from Durham Cathedral, hence it being rather out of proportion in this tiny church. He also began the work of preserving local wildlife, a job which is continued today by the Farne Islands Association. In 1925 the Farne Islands were purchased by a public fundraising campaign and handed over to the National Trust who continue to manage the islands for the benefit of all. The Northumberland Coast Path and North Sea Trail pass through Seahouses before heading towards Bamburgh (3½ miles) to the north and Beadnell (1¾ miles) to the south. A cycle path heads into the centre of Seahouses. It's an off-shoot of National Cycle Network route 1, the North Sea Trail and Coast & Castles Trail, which passes up and down the Northumberland coast, mostly on quiet lanes. Nearest bus stop, Seahouses town centre, a 5 minute walk from the harbour. Regular bus service, Arriva 501: Newcastle (passing Tyne & Wear Metro Haymarket) - Morpeth - Alnwick - Alnmouth - Craster - Beadnell - Seahouses - Bamburgh - Belford - Berwick-upon-Tweed. Regular train service to Berwick upon Tweed 22 miles and Alnmouth 15 miles. Bus connections to Seahouses from both. Chathill 4 miles, irregular train service from Newcastle, Mon-Sat. The Farne Islands lie between 2 and 5 miles off the Northumberland coast. Boats leave Seahouses harbour once an hour from 10am to 3pm daily. The round trip, including island stop off, takes between 2½ to 3 hours. Boat tickets may be bought from one of four boat companies at kiosks in Seahouses harbour. Boat fees do not include island admission. Poor weather and tidal conditions can prevent visitor boats from leaving Seahouses harbour or landing at the Farne Islands at any time of the year. If unsure, contact a boat company in advance to check they are sailing. Seahouses is about 6 miles east of the A1, along minor roads. It is 22 miles from Berwick-upon-Tweed, 15 miles from Alnwick and 50 miles from Newcastle-upon-Tyne.